Unfortunately, this means nearly all of us will know someone who has been affected, whether a friend, colleague or a relative. We all reach that time of life when we start worrying more about our health, and that is particularly true if there is a family history. My own grandfather had a stroke at a young age, and I would be lying if I said I hadn’t thought about that and my own risk. I am a normal human being just like you, and I personally have had this heart assessment. Even though I have no symptoms whatsoever, I wanted to reassure myself because of my grandfather’s history, particularly because I have 2 children of my own. My tests were all normal, and although I wasn’t expecting any different, it was still great to know. It also means I push myself that little bit harder on my bike now too! Just like me, most of my patients tell me the reason they wanted to get checked out is simply to put their own (or their family’s) mind at rest. They were worried about having a heart attack, or wanted to start making some lifestyle changes like getting more exercise and needed to be sure they were safe to do so. Reassuring tests have given my patients the encouragement they need to take up exercise, and look at their diet more closely. Other family members have also benefitted from a detailed look at the family tree. Plus, even if we uncover a problem, at least then we can work out a treatment or lifestyle plan to reduce your risk in later life. Prevention is better than cure. Who should consider an appointment? Although some heart attack or stroke patients I see had warning symptoms beforehand, for a great many it comes out of the blue. If you have any symptoms that concern you, do not delay. Get them checked out, whether by me or someone else. Many heart problems are inherited, and this aspect of my plan is truly unique to heart assessments. Before the appointment, I will send you a questionnaire about your family history to complete at your own pace. After you have filled this in I will use the information to draw a special diagram called a pedigree. As an expert in genetics, this will help me assess you and your risk in much more detail. Unlike most Cardiologists, I have had specific training in inherited heart problems, and have an additional degree in the field of inherited cardiac disease and sports cardiology from University College London. I am therefore very well placed to offer advice and guidance if you are worried. These are painless (other than a small scratch for a blood test) and the results can be available within 48 hours often putting your mind at rest without delay. I will then see you personally for a follow up appointment. 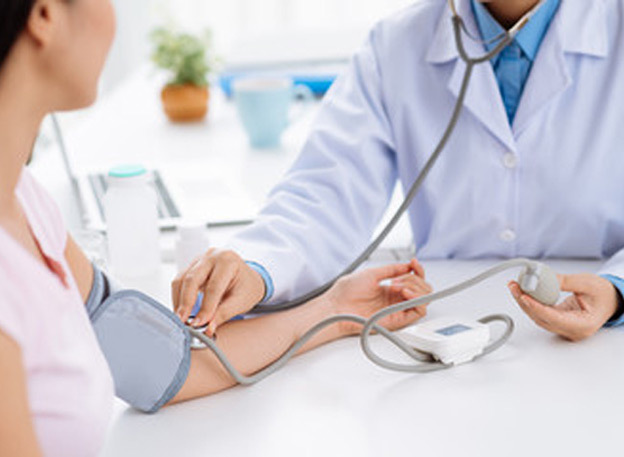 We will be under no time pressure, and I will go through your history in detail before examining your heart, lungs, blood pressure and pulse, and calculating your body mass index. I will go through the results of all of your tests in detail. Not only will I provide a full and thorough assessment of your heart today, I will also use an advanced algorithm to determine your risk of developing heart disease over the next 10 years. Together, if we feel this risk is high, we can consider treatment that can reduce it. As I said earlier, prevention is better than cure. If a more specialist test such as a CT scan is needed, this can easily be arranged within one week. If the tests are normal, you have the reassurance you need to live your life to the full. As an expert in sports cardiology, I can also advise on exercise programs specific to your individual heart problems. Virtually all heart disease can be helped by exercise, but the specific types of exercise recommended can vary between patients. Exercise increases muscle tone, strength, and endurance, and improves motivation. It is also fantastic for improving your overall wellbeing and mental health, and reduces the risk of heart disease in the first place! After our consultation you will be sent a professional printed booklet, containing all your heart information, test results, advice and family pedigree for your future reference. A separate copy of the family tree alone can be provided for them if you wish. I am committed to promoting cardiovascular health, and practice what I preach: I love cycling, tennis, and golf! Coastal Cardiology is a proud business partner of the West Hants health club in Bournemouth, the premier fitness and tennis club in Dorset. My Coastal Cardiology package also includes a one-hour, 1 to 1 personal training session with a professional trainer at the West Hants Health Club. Here you can discuss your fitness and health goals, and devise a program to get you started. You will receive an additional 30 minute nutrition assessment from my colleague Mark Daley, who knows more about nutrition than anyone I know. His dietary advice will be tailor-made to help you individually. Finally, I know how easy it can be to ‘fall off the wagon’. You may feel motivated and ready to go now, but what about in a year’s time? That’s why I also include a free personal follow-up consultation 12 months later. I believe in setting realistic, achievable goals, and having that appointment to look forward to is a great motivator to keep up your good work. How do you book a heart health check? If you are worried, don’t delay and put off your assessment. My clinic is designed to save you multiple visits and your valuable time. Heart tests are performed at the Bournemouth Nuffield Private Hospital, on state of the art equipment. My private consulting rooms are there too. I understand that personal training and nutrition are not everyone’s cup of tea; perhaps you would rather simply have a one-off assessment now rather than include a follow-up consultation in one year? I also recognise that not everyone has a family history, so why pay for something that you don’t need? I wouldn’t want to pay for that, so don’t expect you to either. That is why I offer bespoke packages tailored to your individual needs, which are priced accordingly. All represent significant savings over paying for the tests individually.